I do this every year (including last year ; ): I start wrapping gifts and realize that I don’t have any gift tags. Anyone else? This is reason #1,384 why I love my Silhouette Cameo®. 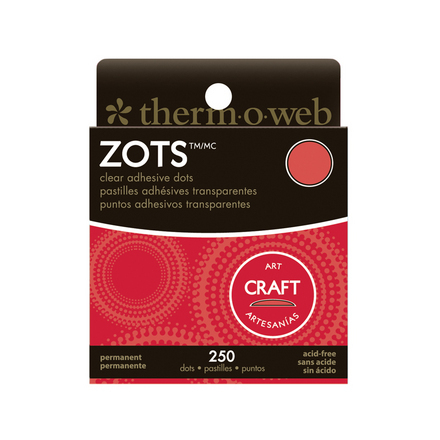 I can make my own handmade gift tags! 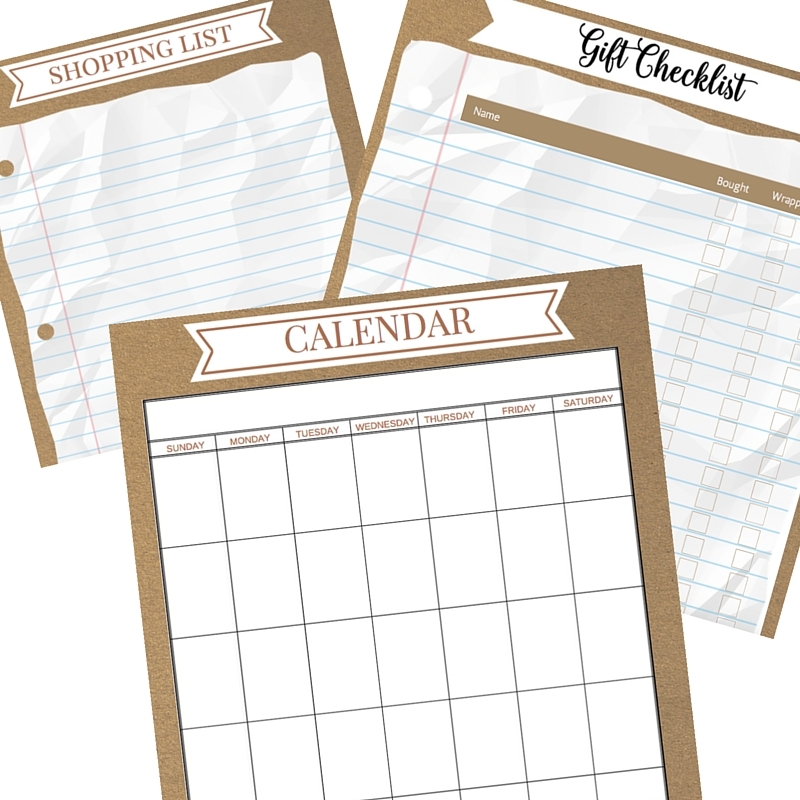 Thanks to Pinterest, ideas and inspiration are just a click away! In fact, I have an entire Pinterest board dedicated to just tags! So of course that’s where I went to get ideas for this year’s Christmas tags. 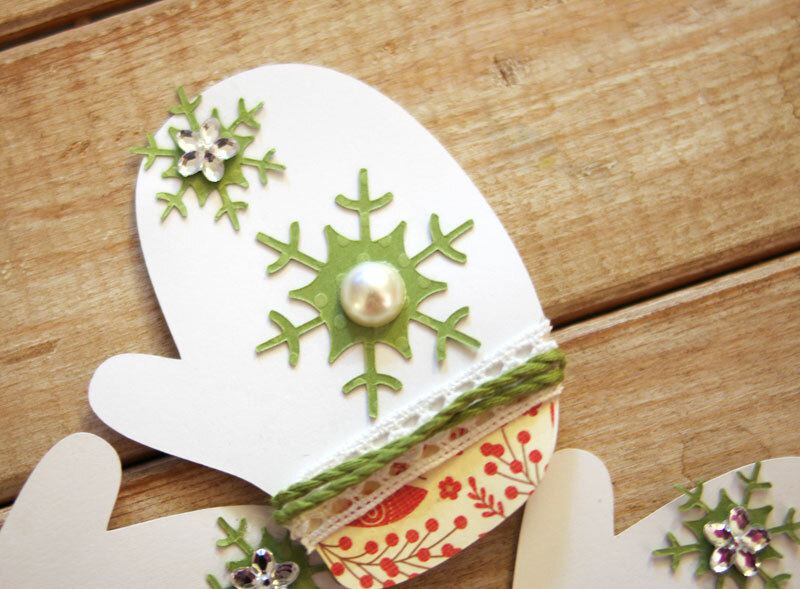 On my Pinterest Tag board is a white mitten tag that I adore. It was the inspiration for my first set of tags. 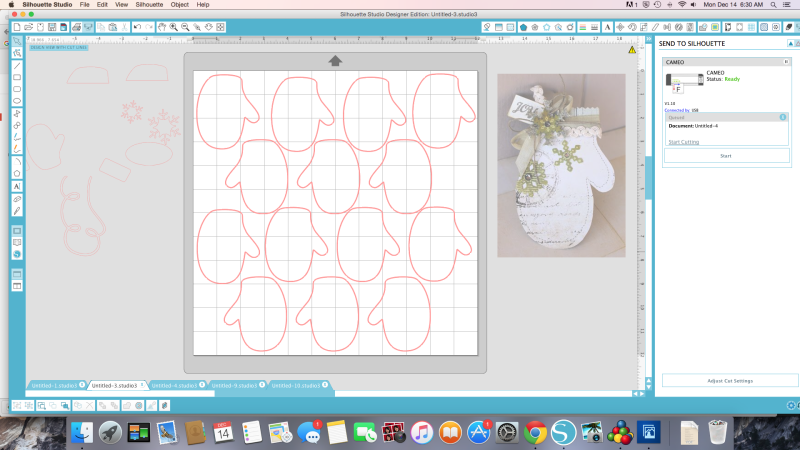 I found a mitten file in the Silhouette® Online Store that looked like it would work for my mittens tags. The file is called Christmas Mittens if you want to look for it. I ungrouped the file and resized it to make my mittens about 3″ tall. TIP: If I’m working on a design and using an inspiration, I always copy and paste the image of the inspiration into my workspace. On a new page, I drew an oval and sized it to fit inside the mitten shape. 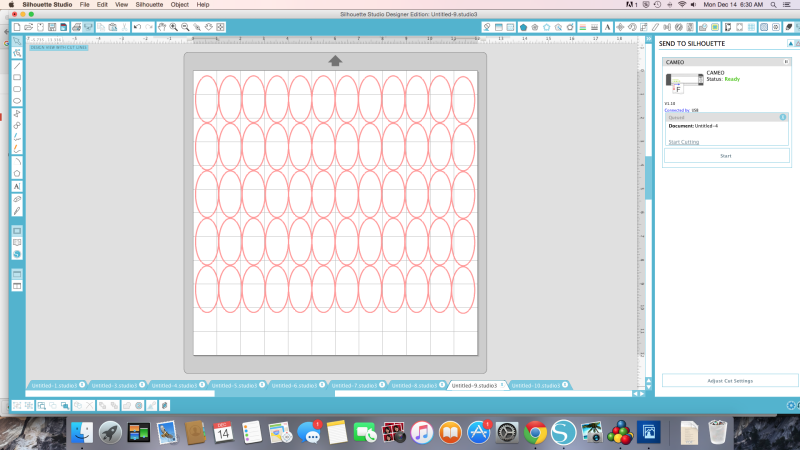 I replicated that oval shape as many times as would fit on my 12 x 12 page. 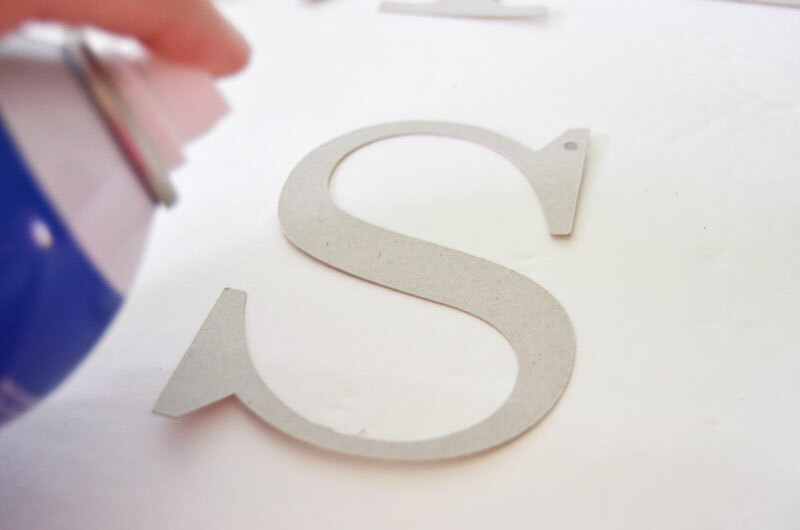 This would be the space to write the gift recipient’s name. I jazzed up my some of my mittens with ribbon scraps and blingy stickers. I made more mittens using patterned card stock. I LOVE me some polka dots and stripes! 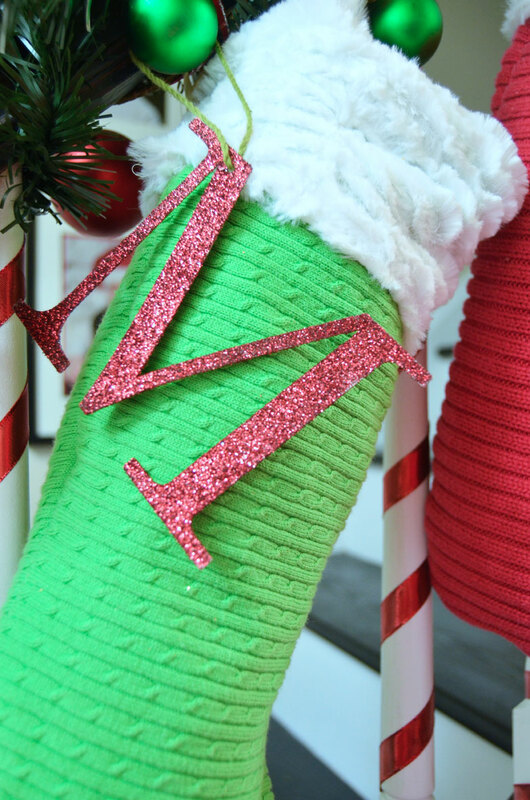 While these big, sparkly letters aren’t “gift tags” per say, I thought you might like to see how how I identify the Christmas Stockings. 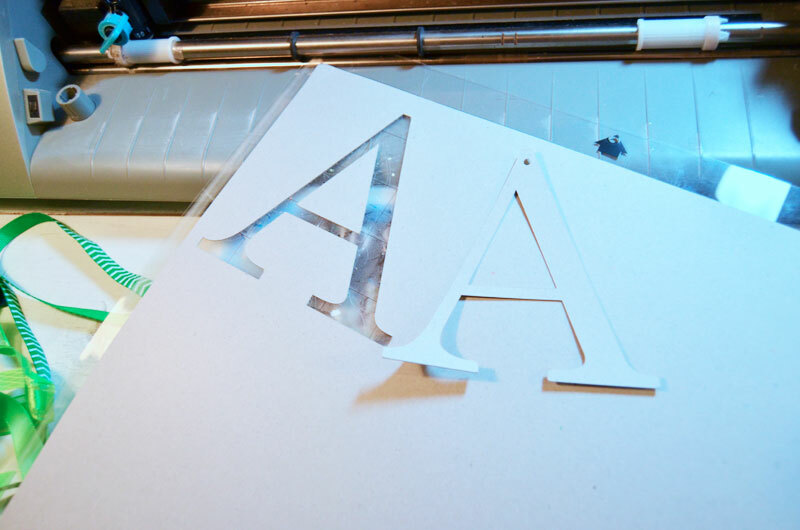 I started out by cutting the letters out of Silhouette® chipboard. Sprayed with adhesive . . .
. . . and then added the glitter. 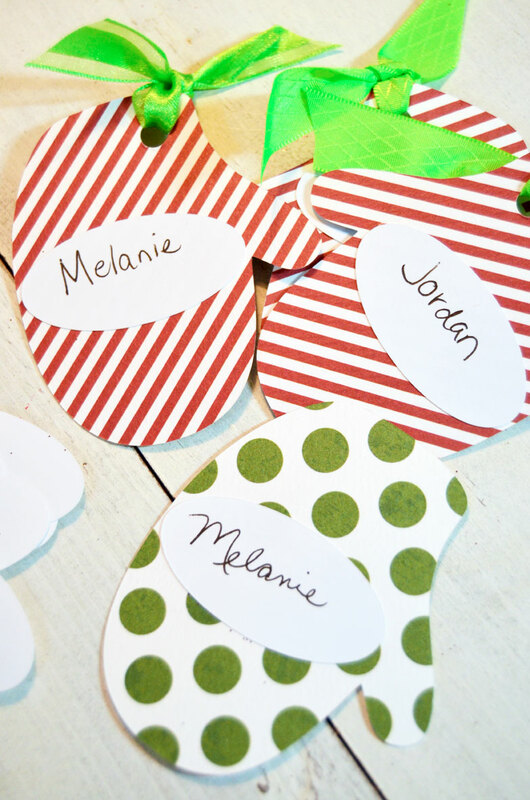 If you find yourself in need of some Christmas Gift Tags, I hope these tags provided a little inspiration for you! And I’ve saved the best for last. 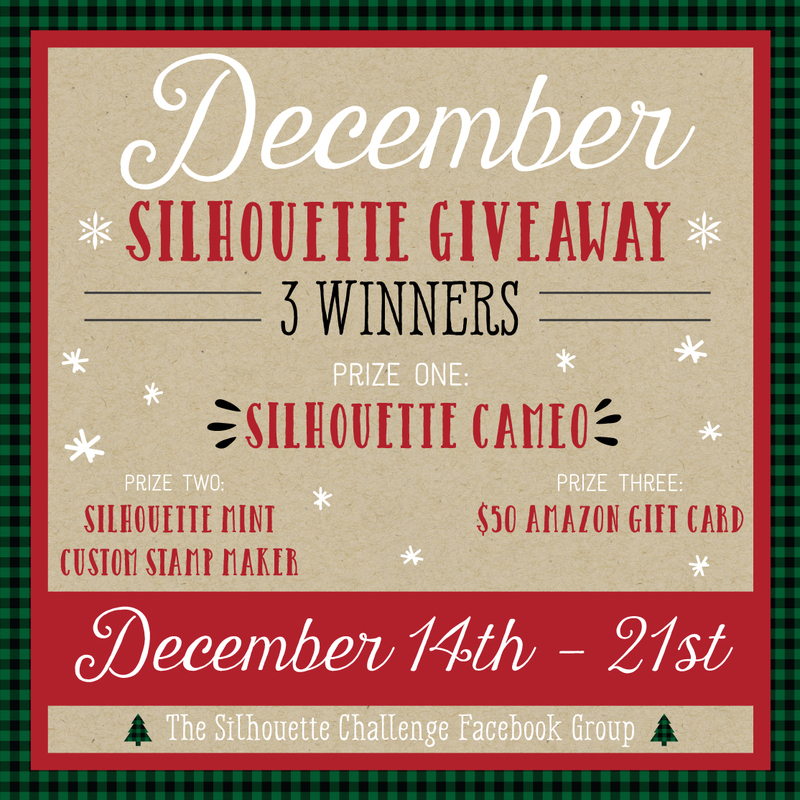 My Silhouette Challenge buddies and I, in partnership with Silhouette America, are hosting a mega-huge giveaway for not one, not two…but three winners! The prizes up for grabs? The mitten tags are great, an idea I will definitely have to try. Maybe even this week while I am without a car! The tags are great. 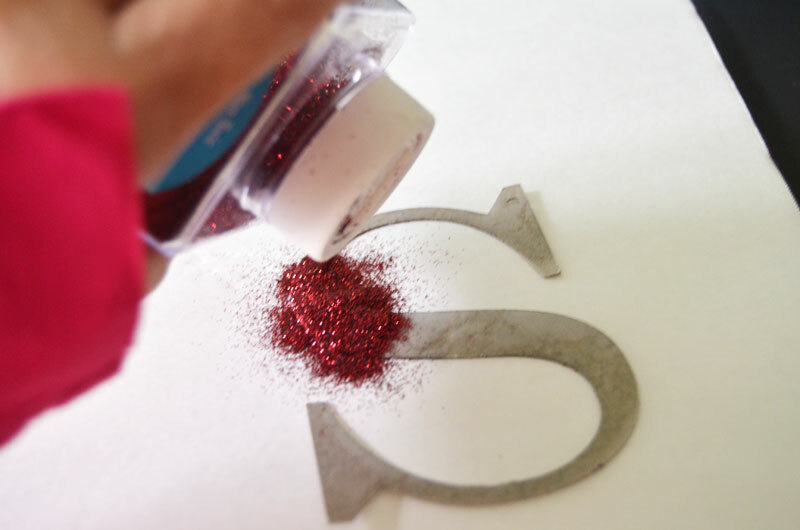 I love the large glitter initial tags. 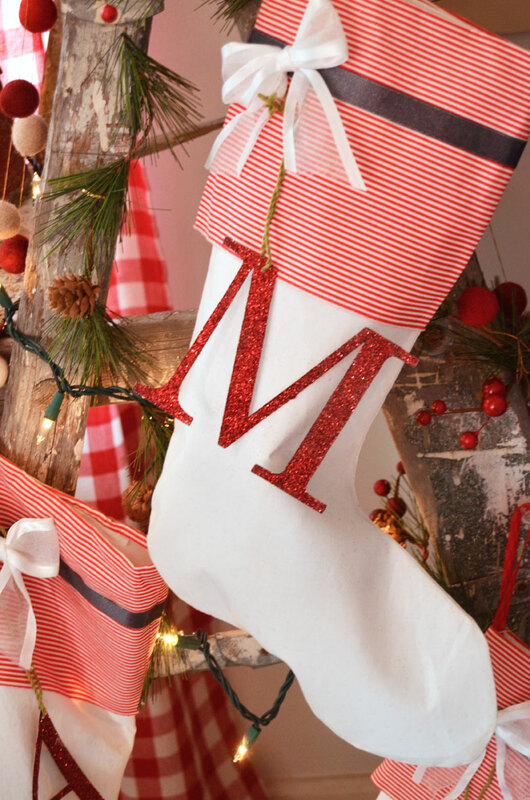 I have some Christmas stockings these would work great with. WOW you’ve been busy! They are fabulous gifts and tags! LOVE THEM!